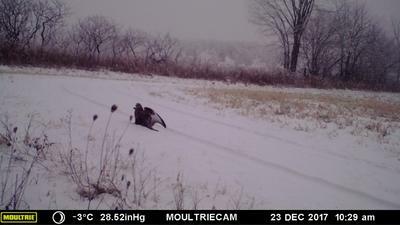 I caught these pictures on my game camera near Erbsville, Ontario. 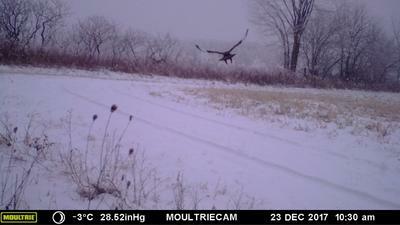 I personally believe it is a Golden Eagle. Most of my night-time pics are deer, coyotes and lots of jack rabbits so there is lots of game up there for the Eagle to hunt. Thank you for your report and for the great pictures - I am going to also post this on our facebook page.